By investing in child care, companies can increase worker productivity and help contribute to the development of early childhood skills. 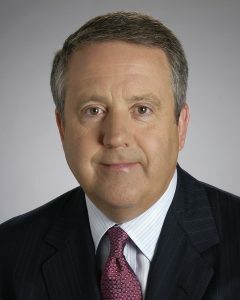 As I conclude my career of decades of leadership positions for a Fortune 500 company, becoming forthright about the need for employers to invest in child care has surprised many. After all, I have not typically been an executive quick to offer public support for social causes. Rather, I believe in a return on investment approach in managing public companies, which is why I am calling on companies to reconsider investing in child care for their parenting employees. Unemployment is at historic lows and the corporate need for a trained, committed workforce is at a premium. Savvy employers are responding by re-examining their approaches to employment and benefits to both attract and retain talent. Millennials are clear about what they value: 83 percent of millennials will leave one job for another with stronger family policies and better family support. Millennials and families with young children are concerned because the situation is bleak for families with young children. “High-quality child care is out of reach for working families,” according to the Economic Policy Institute. 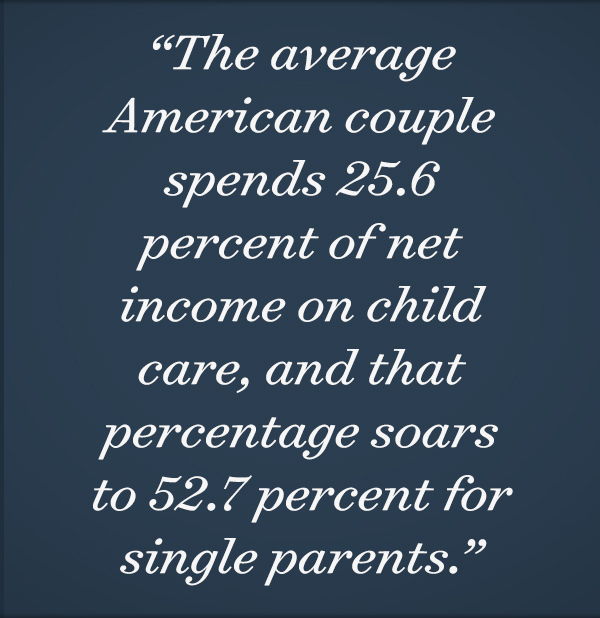 The average American couple spends 25.6 percent of net income on child care, and that percentage soars to 52.7 percent for single parents. In Texas, families may spend more on child care than they will on public college tuition for those same children. Traditionally, many businesses may have viewed this problem as a “personal issue” for families or assumed there must be publicly-funded support to help out families who really need it. However, the U.S. doesn’t have a public system designed to universally support families with their child care needs. A recent Pew Research Center study ranks the U.S. last among nations in government-supported time-off for new parents. While no federal support exists, more U.S. companies are beginning to step in and create improved policies and cultures that support leave for parents with newborns. The U.S. government is beginning to respond as well, represented by the significant 2017 federal budget increase in the Child Care Development Fund (CCDF). The fund helps lower-income working parents offset the cost of child care. Despite this historic increase, the actual needs dwarf the increase. In the Fort Worth area, the CCDF increase will enable our community to assist only about 10 percent of the families who economically qualify for child care assistance. Waiting lists are so long for the assistance funding that families who sign up may actually send their children to kindergarten before they are ever pulled from the waiting list. It is clear that the near-term offers no likelihood of sufficient public funding to meet this child care need for working parents. 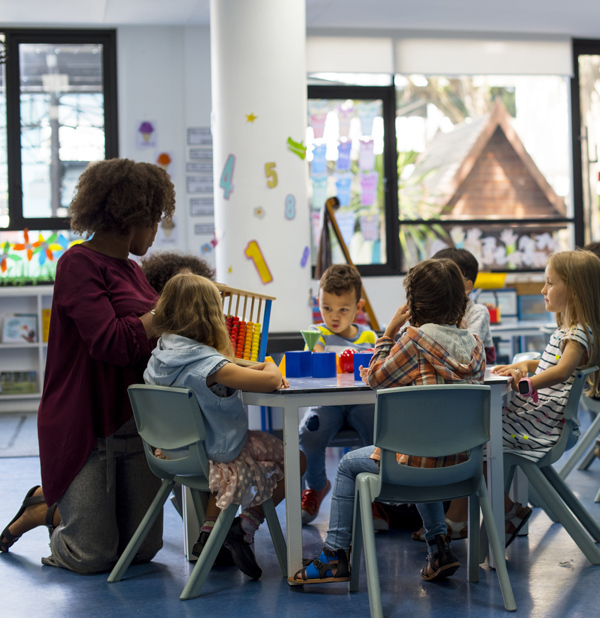 Companies whose success depends upon attracting, retaining, and supporting a qualified workforce need to re-examine their human resources benefits and how they support child care to keep and support their talent. It’s a good return on investment. Companies whose success depends upon attracting, retaining, and supporting a qualified workforce need to re-examine their human resources benefits and how they support child care to keep and support their talent. A parent who is supported with high-quality, reliable child care is able to commit to one’s profession, stay with the job longer, and miss fewer workdays. Estimates place U.S. businesses loss at $3 billion annually due to employee absenteeism resulting from a breakdown in child care coverage. Company-supported child care options simply help parents work consistently. I’ve heard from parents that they are proud to be connected to a company that helps with their child care needs and understands their need for work-life-family balance. The case for businesses to invest in child care is even more convincing concerning women in the workplace. Child care fundamentally supports the retention and advancement of women in the workplace, especially during critical years for tracking into senior and executive management roles. Women are still the primary gender opting out of work for a period of time to provide care for infants and young children. For some families, it is a “first choice” decision to have a parent at home to support young children. However, for many other families, women are feeling forced to decide to stay at home, citing the high cost and lack of quality child care as the primary reason. And “opting out” has impacted women. Businesses have unintentionally left women with what could be called “motherhood penalties,” such as losing out on important salary increases and career progressions. Businesses today understand the critical competitive edge of diverse teams with women and men together leading towards innovation and profitability. Yet women are vastly underrepresented in management ranks in companies across the U.S. Smart companies are re-evaluating how they support career tracks and employment for women with family benefits that include child care and paid family leave. Some will point out that these arguments have tended to assume a two-parent household. The 2017 U.S. Census indicates 12 million single-parent households with children under 18 years old and 80 percent of these households are led by single women. The child care needs of working single parents who lead a household are nearly insurmountable without significant assistance from businesses, government, or one’s family. The child care needs of working single parents who lead a household are nearly insurmountable without significant assistance from businesses, government, or one’s family. The corporate community also recognizes the need to invest in their future workforce by investing in education. Many corporate social responsibility plans include significant investments in local schools. However, these investments tend to focus on middle and high school programming or university scholarships versus recognizing that the social skills and educational outcomes needed for tomorrow begin in the young years with children ages zero to three. The Federal Reserve has been arguing for investment in comprehensive early education and care services for young children for well over a decade. Companies investing in quality child care for their employees reap immediate benefits in their current workforce and are investing upstream in tomorrow’s workforce. And not all child care is alike. Companies should help employees offset the cost of quality child care that supports children’s development, not mere babysitting. 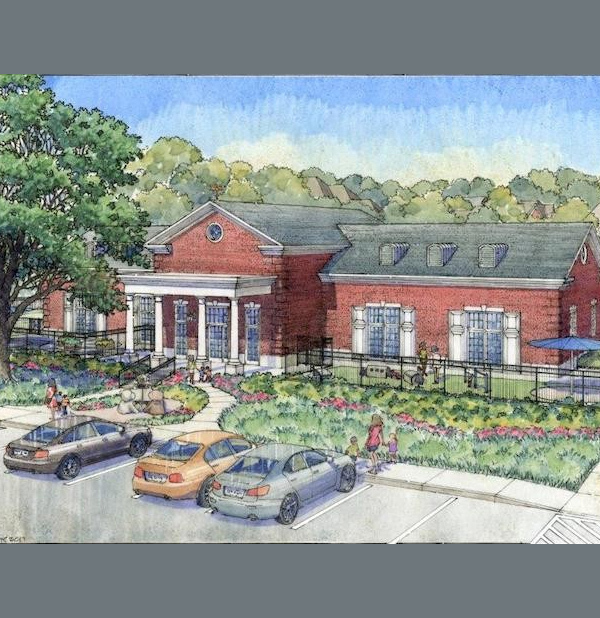 SMU recently opened a new child care facility available to faculty and staff. Employer-provided child care is tax free to the employee, much like health insurance is tax free. Providing child care for your employee is a game-changing benefit that increases retention and commitment to your company team. Consider offering a Dependent Care Flexible Spending Account (DCFSA) or a Dependent Care Assistance Program (DCAP) for your employees and help contribute to that plan (up to allowable limits of $5,000 per year). Employees can then use pre-tax dollars to pay for child care expenses, possibly saving employees up to 30 percent in child care costs. Review policies that support your parenting employees. That includes paid parental leave and flexible return policies for a parent who has taken time away from work upon the birth of a child. Women employees who are mothering young children especially benefit from flexible work schedules and an active human resources team that is working to support her transition back to work. On-site child care or contracting with nearby quality child care programs are highly desired options by families. Many companies have on-site gyms, eateries, or health clinics, so perhaps it is time to look (again) at the benefit of on-site child care. When companies provide child care, employee absences decrease by up to 30 percent and job turnover declines by as much as 60 percent. Ask your local Chamber of Commerce for guidance in understanding options and helping a human resources team evaluate the best options for a company’s situation. For small businesses, consider flextime and telecommuting not as perks but as business strategies that may help make a small business more attractive than a rigid corporate environment. Examine roles in the business to determine if there is an existing role or combination of roles that could specifically attract or support a working parent. Parents who find the “right job” that aligns with their lifestyle and family tend to be loyal and stay in roles longer. At a national level, Washington should increase the usefulness of the Child and Dependent Care Tax Credit. Specifically, Congress should increase the limits to align with average actual costs as well as index the limits to rise with inflation. It has been over 17 years since the limits were raised in the Child and Dependent Care Tax Credit. Lawmakers should consider making this credit available to low- and middle-income families as a kind of Advanced Refundable Tax Credit. Congress should increase the limits to align with average actual costs as well as index the limits to rise with inflation. It has been over 17 years since the limits were raised in the Child and Dependent Care Tax Credit. In summary, policymakers should expand the tax credit’s limits, provide the credit in advance to families to help cover expenses as they are being incurred, and refund the credit to families who owe no income tax (or refund the difference between credit and liability). The U.S. government should also increase the limit for Dependent Care Flexible Spending Accounts (DCFSA) to align with the average cost of child care full-time. This means allowing DCFSAs to adjust with inflation each year as with other FSAs and considering an increase in the amount companies are allowed to invest in their employees’ accounts. Lastly, if the federal government is interested in companies investing more in child care supports for working families, policymakers should consider creative additional corporate tax incentives to “nudge” corporate executives to move on this opportunity quickly. The time is ripe for nudging companies to take a lead in supporting their parenting employees with child care. Leading companies are leaning into these new benefits that support families while supporting their bottom line. The author would like to credit Kara Waddell, president and chief executive officer of Child Care Associates, with assistance on this article.